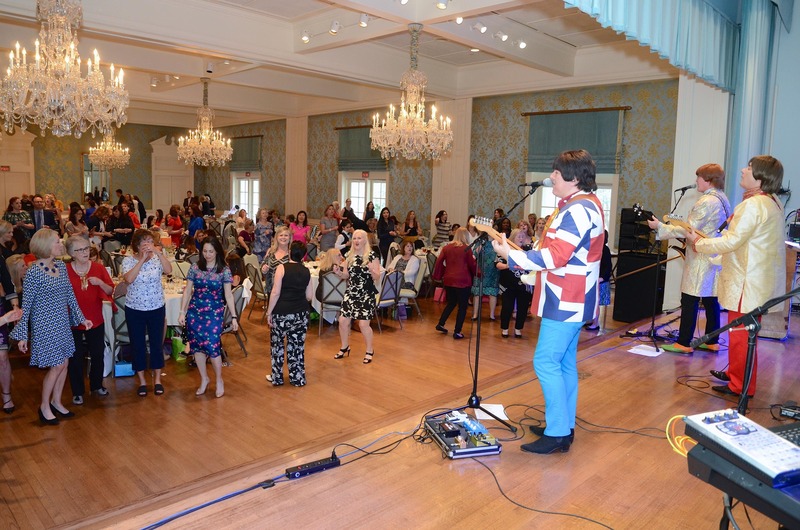 Always lots of fun, our Wine Women and Song event is celebrating its 10th year! We are welcoming back the Fab 5, the tombola (lucky dip), raffle prizes .... and as usual, we'll be adding in some surprises. We start off with a champagne reception as our guests arrive and catch up. We have a fantastic raffle with amazing prizes and a tombola with cute gifts. We will serve a delicious lunch with lots of wine and the Award Winning Fab 5 Beatles tribute band will keep you entertained throughout. It's the ladies event of the year, call your friends and get your tickets before they sell out! The Junior League offers free parking although most guest prefer to take a taxi or uber to this event as alcohol is served. Please email info@baftx.org with any questions. We do not offer refunds for this event. Any unused tickets will be deemed donations to BAFTX, a 501(c)(3) non-profit.